In the fourth stage of spinal degeneration, most damage is permanent including scar tissue, nerve damage and deformation. 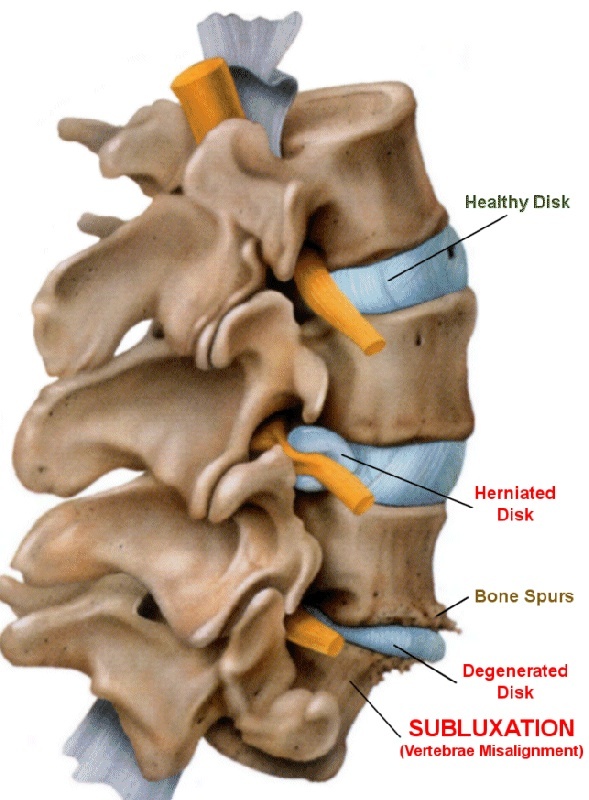 In the second stage of spinal degeneration, there is a often narrowing of the discs and potential deformation in the bones. Your posture is often beginning to degenerate as well at this point. As the spinal canal, or opening begins to narrow, there are often significant aches and pains associated. Fatigue and stress are more common at this stage. There is a good chance of improvement at this stage with the proper care.